Whether you’re new to the world of backyard chickens, or if you’ve been raising chickens for years, poultryOne is here to help. You’ll discover a free library of articles, resources, hatchery guides and an online Q&A forum to help you raise the healthiest, happiest hens possible! The reasons that people raise chickens are as varied as the hundreds of chicken breeds themselves. For many, the hobby’s allure is because it’s a cheap and fun way to enjoy a self-sustaining lifestyle. Plus, the rewards, like fresh eggs and free bug control in your vegetable garden, are great! 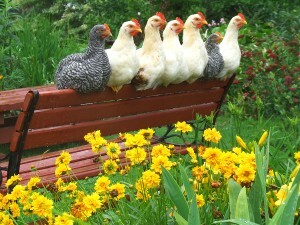 In five quick steps, you can be the proud mother or father of a backyard chicken flock. It’s that easy! And poultryOne is here to walk alongside you the entire way. Got a question that isn’t answered? Head over to poultryCommunity.com to meet other hobbyists and find answers to all your pressing needs!